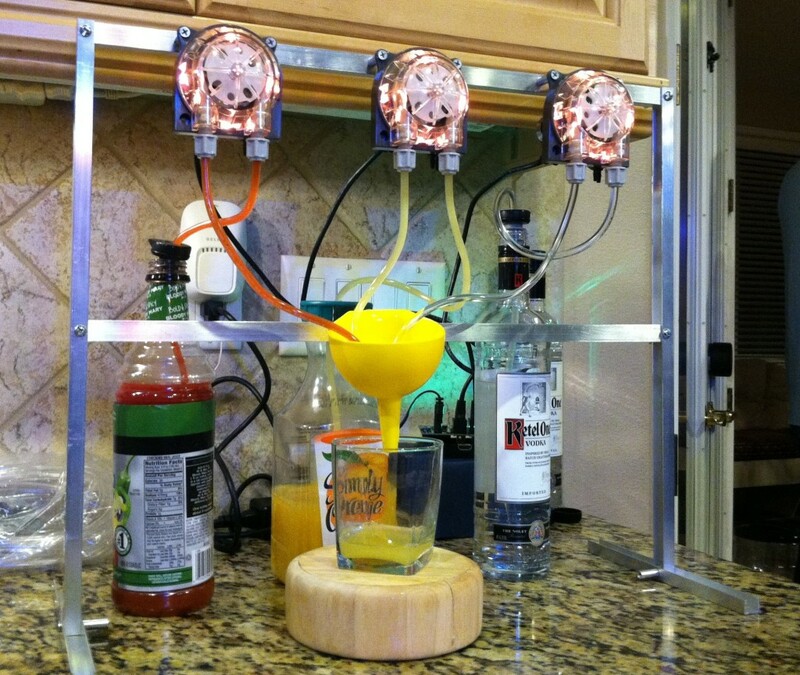 Bartendro works on a Raspberry Pi which hosts a little Web app that triggers the pumps. The challenge here was to be able to send commands from the SmartThings cloud to the little computer. For this demo, I created a Python script that queries a DB hosted outside the Bartendro that triggers the pumps if a new entry is found. I also created a Device Type on SmartThings, that adds an entry, with the necessary params, based on the drink selection. Before I release it to the SmartThings community I want to be able to send a JSON file to SmartThings with the list of drinks available for the bottles I have connected to the device. This will allow the device type to know which drinks to offer to the user. Also I’m thinking of using node.js for direct communication instead of queuing constantly a DB. Stay tuned! This entry was posted in Blog on January 30, 2014 by Juan Risso. Hi! How much experience do you have programming a Raspberry Pi? I can send you the files if you like but there is also some work on the raspberry pi on top of the SmartThings code. Put it on Github please!! !